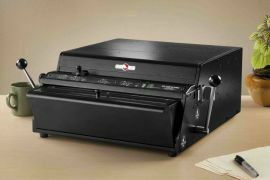 The new Onyx Series of spiral electric binding machines offers a quieter, heavy-duty solution to the spiral book binding market. 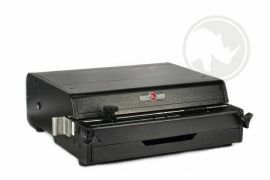 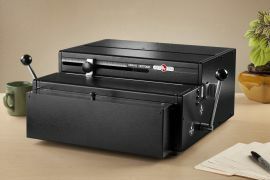 Able to handle any size job, the line includes the ONYX 4000PLUS hole punch machine that can drill 20 pages, the ONYX HD7000 that punches through 35-40 pages, and the powerful ONYX HD7700, an electric plastic comb binding machine able to handle up to 55 pages. 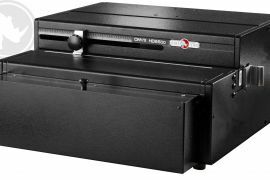 The line also includes the oversized ONYX HD7500H for large-format jobs. 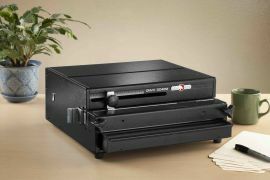 Equipped with E-Z Change Die System to manage over 20 standard hole punching patterns, all wire binding systems in the line are both operator-friendly and environmentally friendly, as they are 98% recyclable. 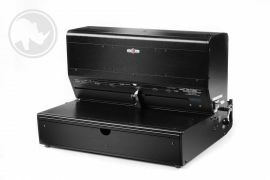 Each comb, wire, and plastic coil binding machine in the ONYX line offers a three year warranty that sets Rhin-O-Tuff apart from the industry. 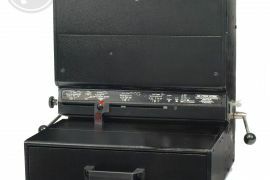 We proudly make each binding machine in the USA.